Unions have criticised the government for failing to save the Moorside nuclear plant. Overnight, Japanese firm Toshiba announced it was wind up its nuclear arm – NuGen – which was leading the project in Cumbria. 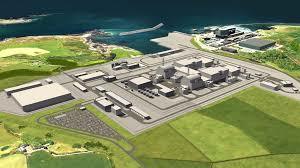 The GMB has long argued the government should take a stake in the financing of the troubled £10 billion nuclear reactor, rather than leaving this vital project at the mercy of foreign companies. The Moorside rector in Cumbria was set to have been delivering 7% of the UK’s electricity needs from 2025. GMB national secretary Justin Bowden said: “The British government has blood on its hands as the final sad but predictable nail is banged into the coffin of Toshiba’s jinxed jaunt into nuclear power. Relying in this way on foreign companies for our country’s essential energy needs was always irresponsible. Add to that the multiple opportunities to step in and take control, that were missed or ignored. Prospect senior deputy general secretary Sue Ferns said: “This is devastating news for Cumbria and the wider energy sector. The nuclear industry and wider supply chain currently employ thousands of people in the North West of England. The long term future of this could be on the line if we can’t move forward with building Moorside. “Government has ultimate responsibility for ensuring a secure and stable supply of energy throughout the UK. The truth is that Ministers have dithered and delayed for far too long. We now need urgent action. “Our analysis shows that if the government were to take a 50% stake then there would be a net benefit to the public purse, so there really is no excuse not to. Unite regional secretary for the north west Ritchie James said: “Today’s news is a cruel blow to the prospects for the north west economy and the future of thousands of highly skilled jobs in construction and operations, once it was up and running. “It is our view that it is not too late to revive this project, but it needs the active engagement of government, including the commitment of public money. “Moorside could be a powerhouse, literally, for the regional economy, and we will work with other stakeholders, such as local authorities, to see that this project eventually comes to fruition. “The hands off attitude of the government has been the elephant in the room and today this ‘one step removed’ approach has come home to roost. This is another example of the government’s chaotic attitude to policy making. “Unite will be seeking an urgent meeting with business secretary Greg Clark to chart a way forward to see what can be done to get this project kick-started again.